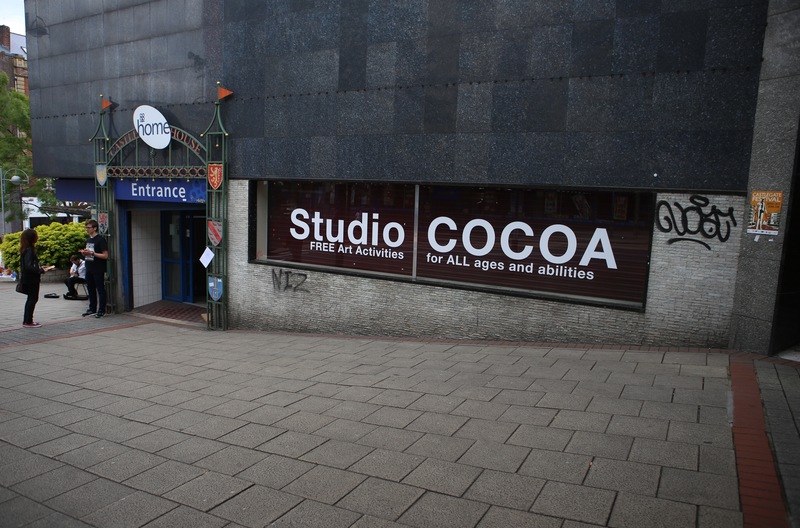 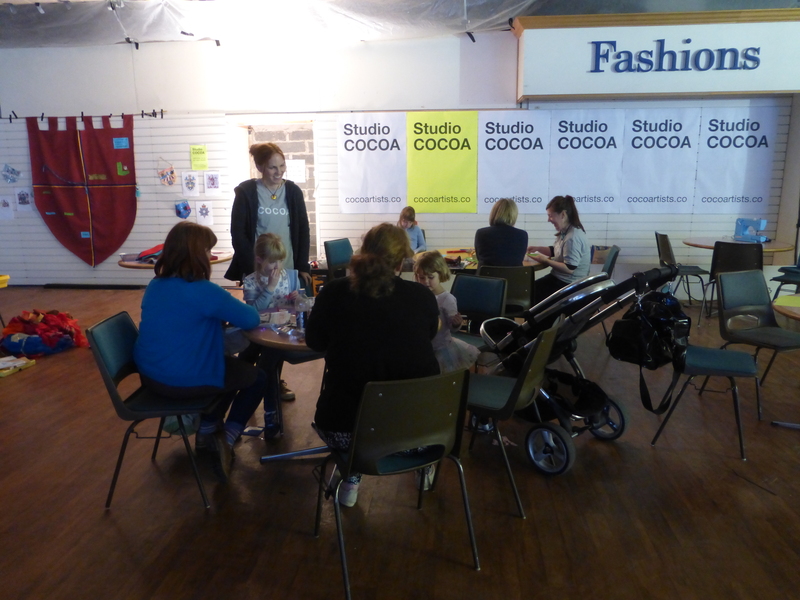 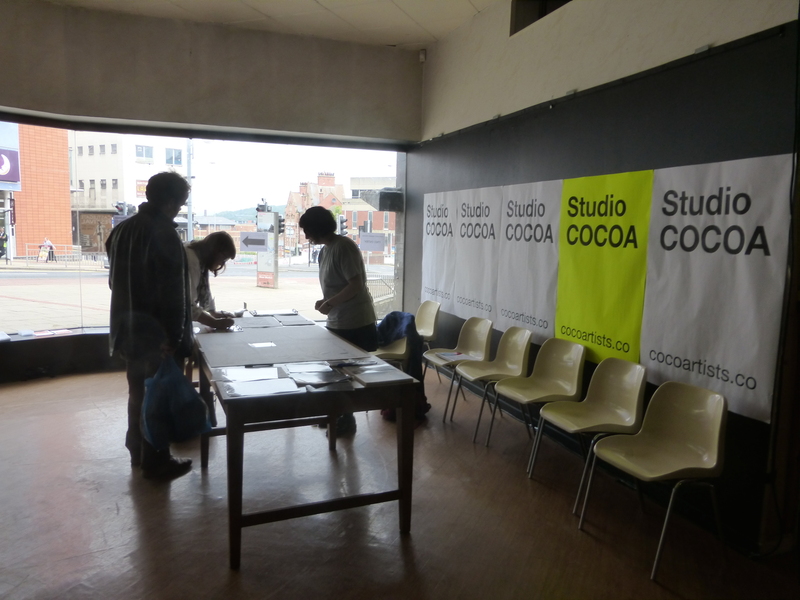 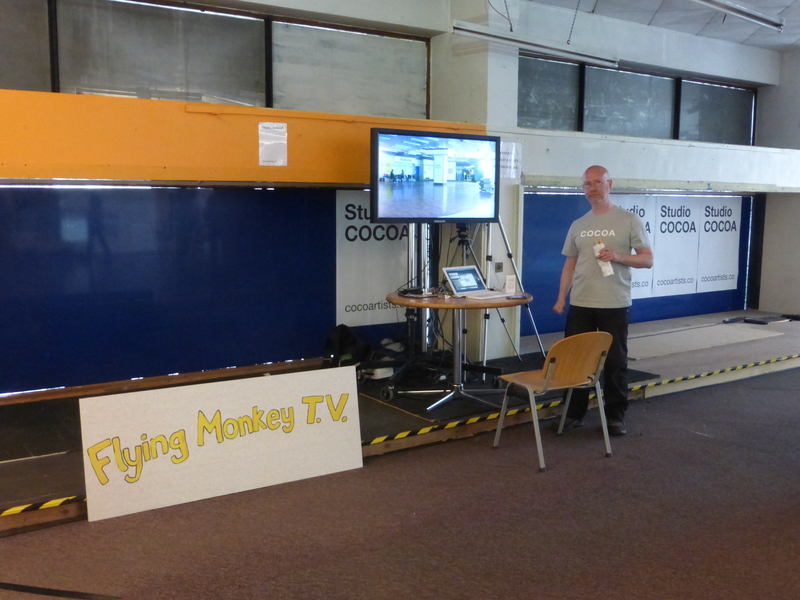 Studio COCOA (Castlegate Open Community Of Artists) opened its doors at 10am on Saturday 20th June. 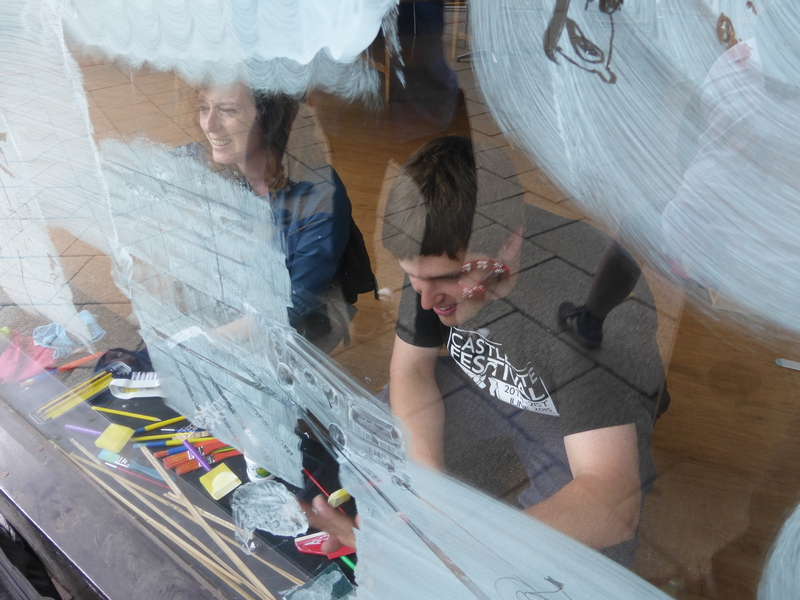 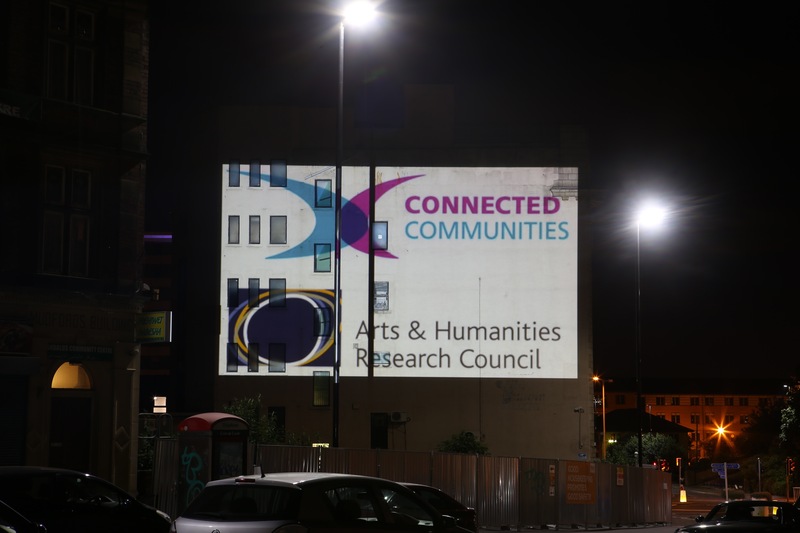 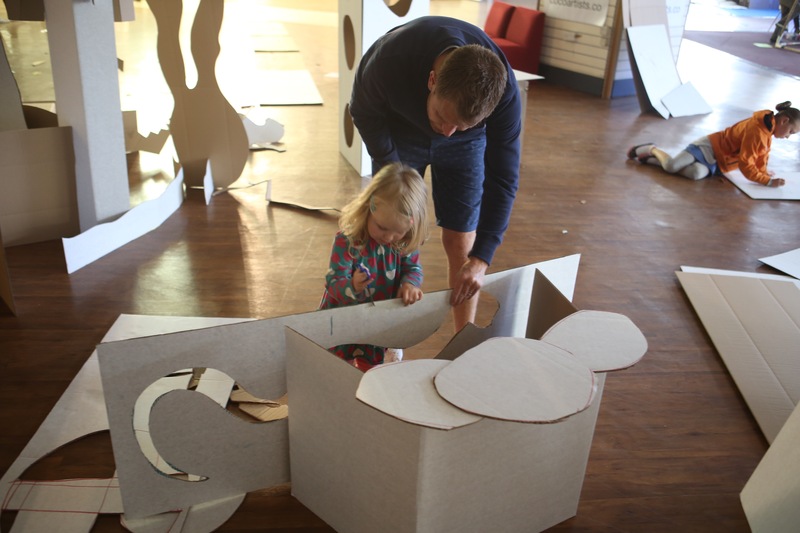 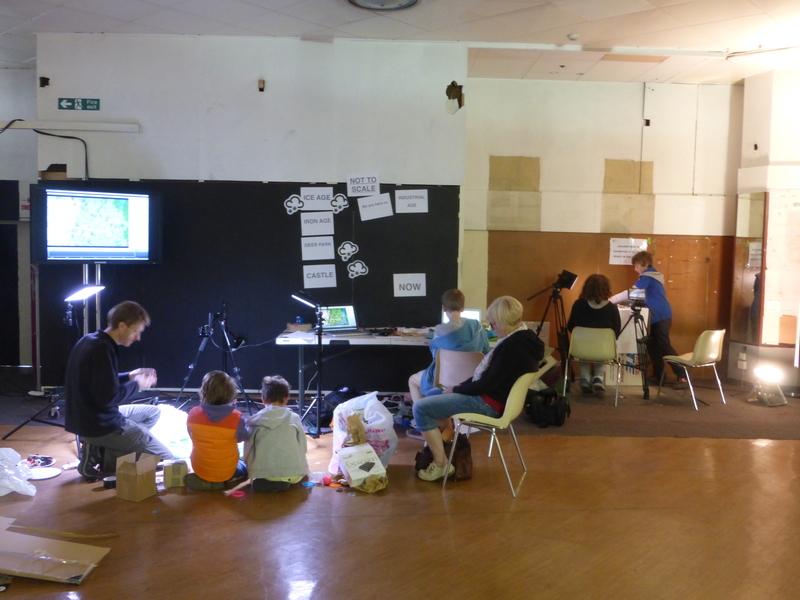 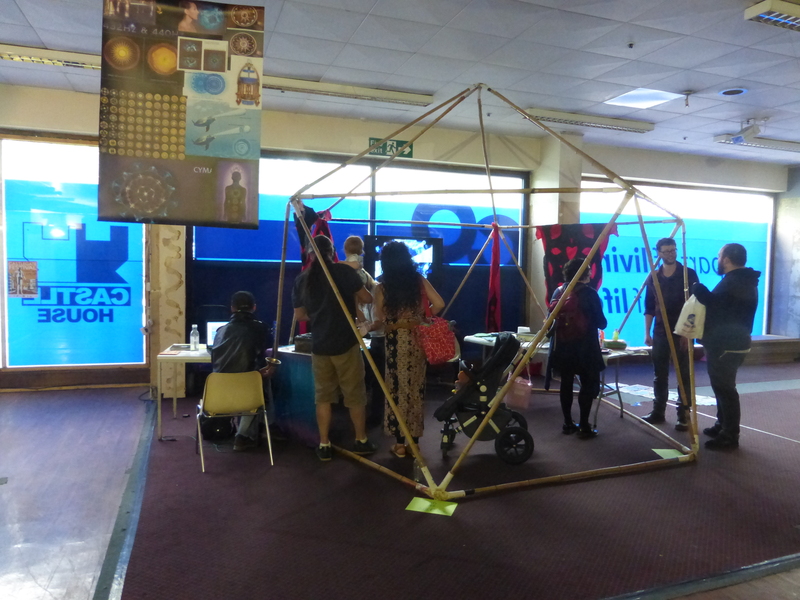 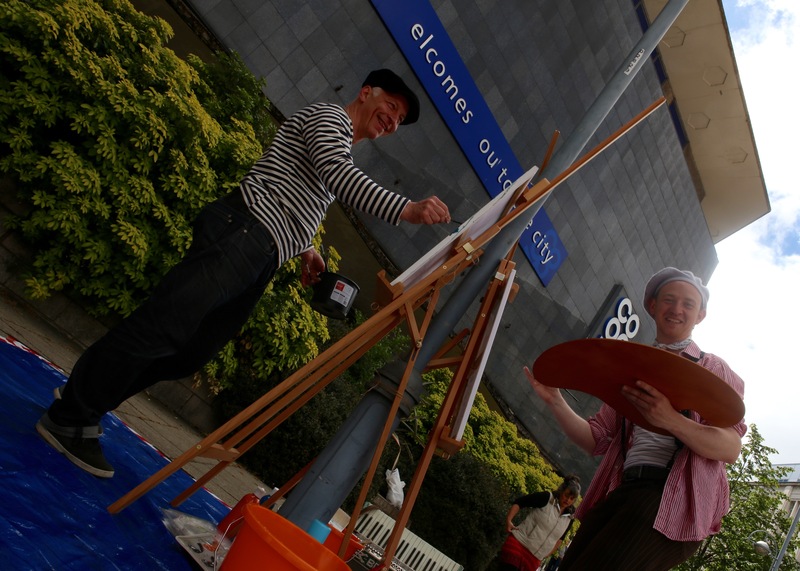 By 4pm on Sunday 21st we had seen over 1,100 visitors and witnessed an amazing amount of creative interaction! 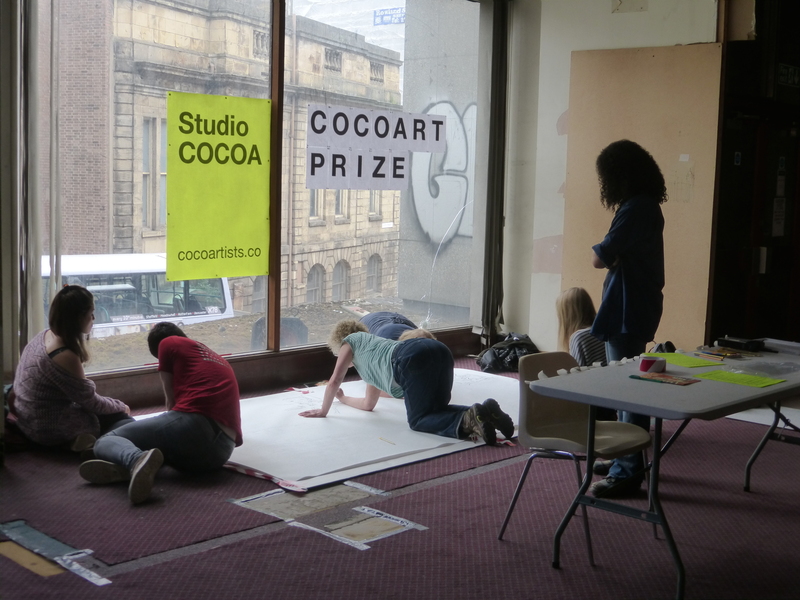 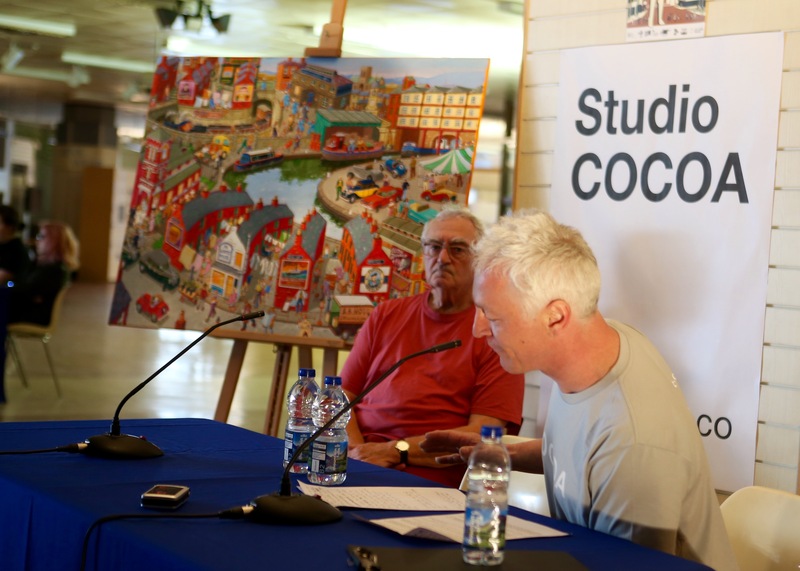 COCOA’s moto is that anyone can be a COCOA artist – and for any period of time – from the few minutes that it might take to make a drawing in our pop-up studio to a more prolonged engagement with the COCOA project over weeks or months. 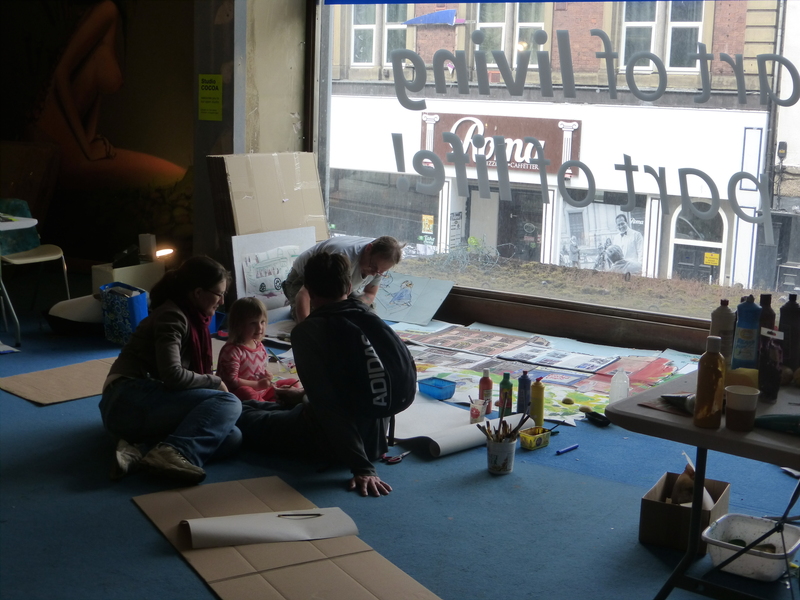 During our studio weekend at Castle House, visiting artists were treated to an exciting menu of activities to choose from and it was great to see people from all backgrounds, ages and levels of ability join in and experiment, take risks and observe elements of real beauty emerge from the chaos of artistic production.